A new concept store which makes room for art. Alain Ellouz has been chosen for taking in charge the first exhibition. 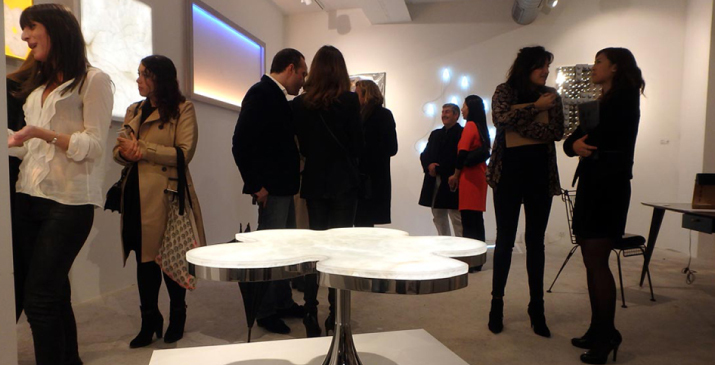 At this occasion, he introduces unique pieces in exclusivity, following “usual art” concept. 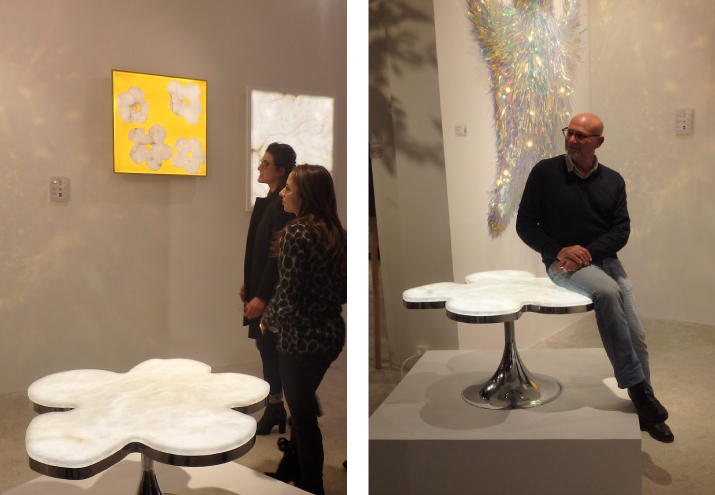 Luminous alabaster enormous slaps appear as prestigious paintings, and the “Fleur Table” reminds us Warhol’s masterpiece.